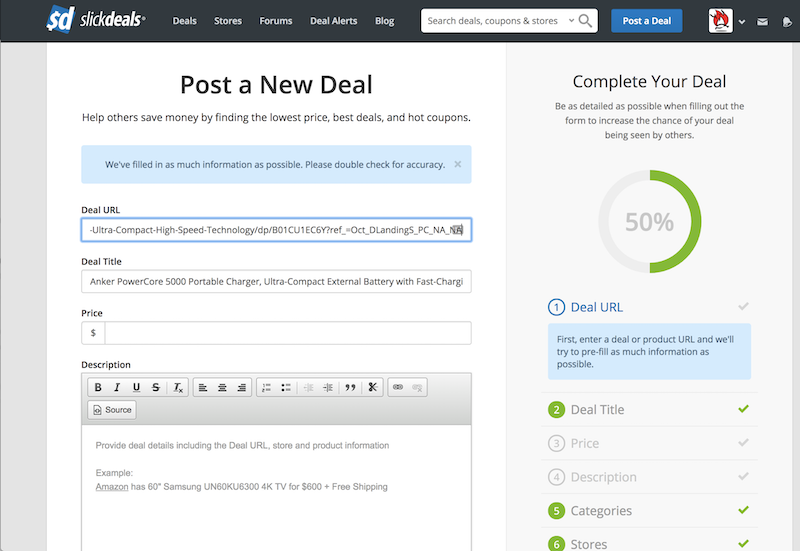 Slickdeals, the top deals website in the US, helps users discover popular deals. On Slickdeals, the top deals website in the US, members share deals that they've found, which are then voted on and discussed by the community. 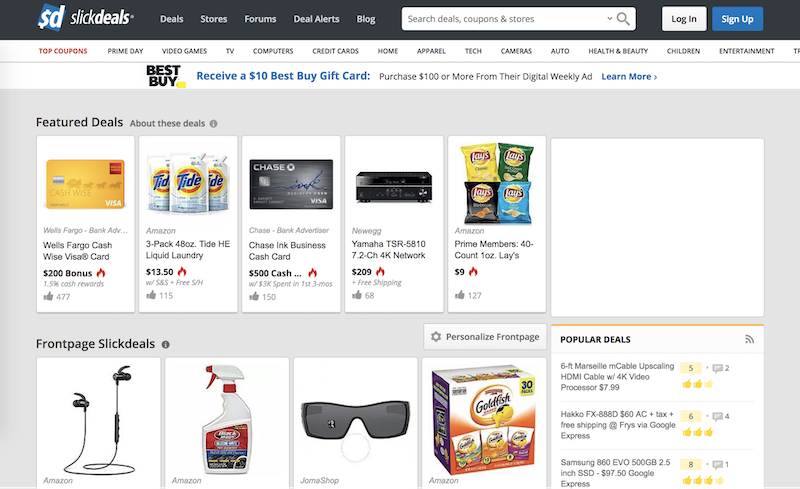 This process helps visitors find great deals, even as the discussions around products help users identify the real bargains. Semantics3 helps Slickdeals members submit deals faster by automating the tedious process of filling in product information for new listings. Slickdeals members post thousands of deals everyday. The value of the site is in the fact that unlike other deals sites like Groupon, deals on Slickdeals are hunted and posted by users, not merchants. This helps the whole community benefit from the expertise of deal-savvy members and sift out the real deals from the rest. Deals are usually short-lived. So it is in everyone's interest to ensure that the time-lag between a member discovering a deal, and posting it on Slickdeals is minimized. Traditionally, a community member posting a deal had to go back and forth from the deal page and manually paste deal information such as title, description, category and retailer. This obviously led to friction in the user experience and forms being left incomplete. The solution? To use Semantics3’s Universal Product Catalog to quickly pre-fill product details using the product URL. Once a user inputs a deal URL, Semantics3’s API allows Slickdeals to automatically pull in information such as product name, description, category, retailer and brand. 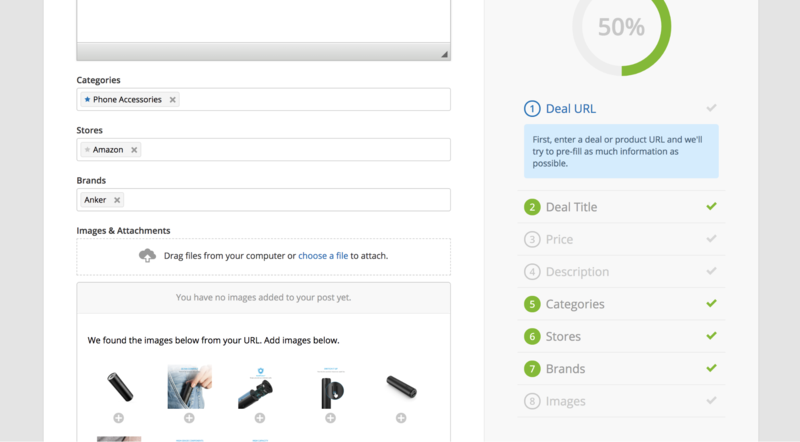 Users can now post deals much faster and members can get the best collection of deals curated for them. We have two versions of the site, the classic which has been the same since 1999 and the more updated version. We implemented the autocomplete solution across both versions and found that the completion rate for forms increased across the board. We saw a 14% lift in form fields completed. Connecting to Semantics3’s universal database not only ensures a faster deal listing process; it also improves listing quality by ensuring that secondary information about category and brands are accurately and thoroughly filled out. This, of course, leads to a better user experience. Slickdeals is a community of people who want to find and share the best deals. Providing a better and easier process for this community to do that equates to instant ROI in terms of a more engaged user base. Using Semantics3’s Universal Product Catalog, Slickdeals could add value to its community with minimal engineering effort.